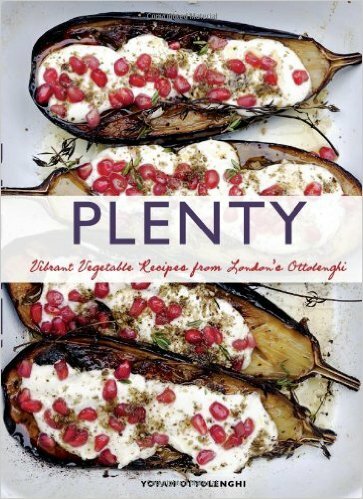 Plenty showcases vegetable dishes that are interesting enough to be satisfying, but not so convoluted that you feel they are trying too hard to be hearty (as many veggie cookbooks do). If you purchased a big sack of spelt in a fit of wholesome intentions and find it still sitting in your pantry 6 months later, these are the books for you! 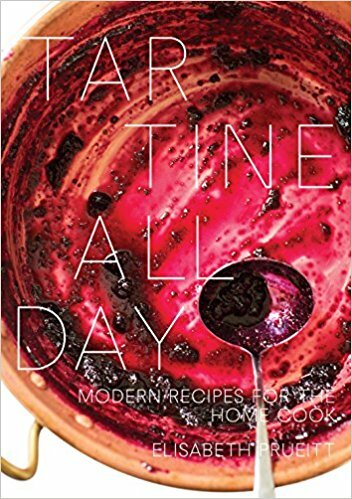 They are chock full of delicious, uncomplicated recipes that leave you feeling genuinely nourished, without spending all day toiling with obscure ingredients. Really, anything that can get me to look forward to bulgur as much as pasta is genius – and these two do it. 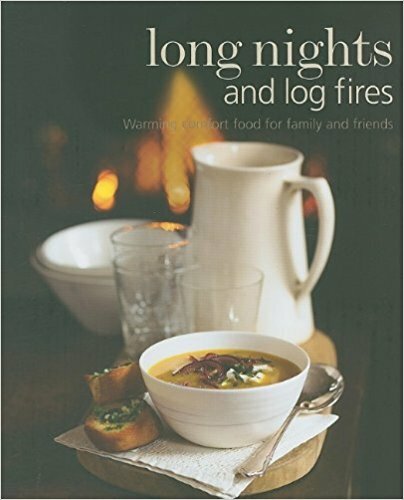 If you can’t get enough of cozy comfort food, Long Nights and Log Fires is for you – just spiced-up enough that you don’t feel like you’re re-creating your grandma’s pot roast. (Not that there’s anything wrong with that…). I am completely biased as I think Joanne Chang makes the best treats in Boston. The recipes are simple (mostly) and clear (always), the commentary is friendly, and the results are delicious! You would not think there are many innovations left in banana bread, but try this version and you will realize you’ve never really had it before. Joanne is also a real inspiration – she is everywhere! 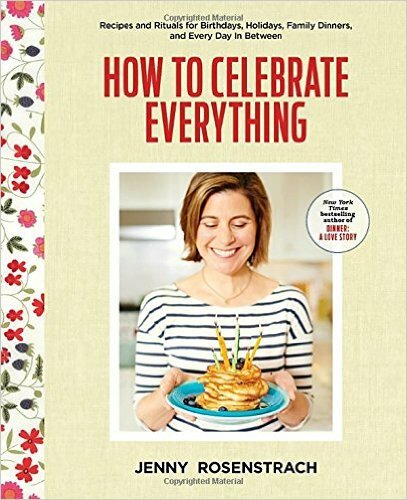 Teaching classes, running 3 restaurant/bakeries, writing this book, and super nice to boot. Plus she has an applied mathematics degree from Harvard, so you know the recipes are all triple-tested for accuracy. I strongly suggest the spicy tomato soup and harvest salad from Stir, the honeycomb bars and lemon lemon loaf from Baked, and the endive-trout salad and vanilla macaroons from Bouchon. These books are intriguing for several reasons: 1. They are self-published, which brings a troubling shortage of earlier volumes, but a refreshing freedom of beautiful editorial content. (This also has some interesting implications for big publishing houses – they are BEAUTIFUL little books, and have a big following – why would you need a publisher?). 2. 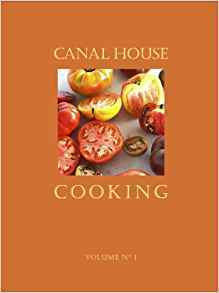 They are focused – about 50-60 recipes in each volume, all seasonal and easy to mix and match. 3. 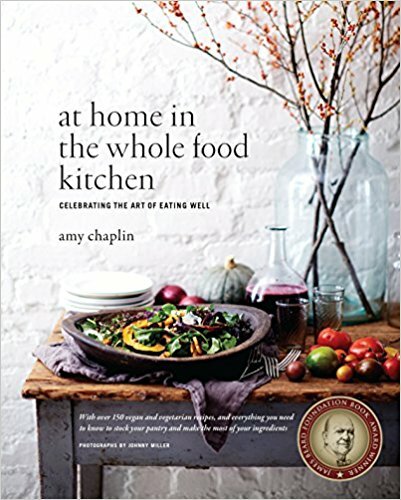 They are written by two women with serious culinary street cred (oh yes, there is such a thing! ), but the recipes are easy and accessible. Their cassoulet recipe, for example, was the simplest by many hours of dozens that I recently compared, without skimping on the essence of the dish. 4. 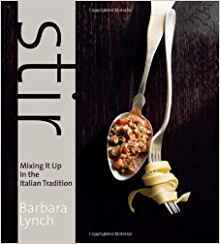 There are stories and commentary to go along with each recipe – just enough so that you feel you have some context to go along with the food. 5. Every single thing I have made from these books is delicious. 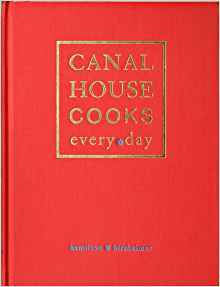 Observant Honeybees will know that we’ve consistently recommended the smaller Canal House books, so it’s no surprise this bigger one makes the list. Awesome recipes, gorgeous photos, helpful context and commentary. Both useful and inspirational, a rare combination. 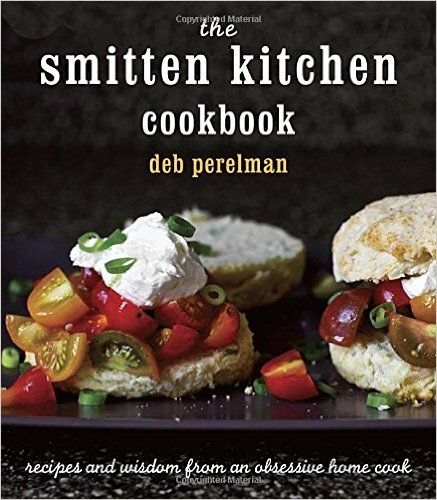 Hip internet foodies will already know all about Smitten Kitchen, as Deb writes a popular blog by the same name. To her credit, this book is mostly NOT just “greatest hits” from her website, and Deb has a great conversational tone to her writing. It makes you feel like you are cooking together for a fun casual dinner party. And since that rarely happens in real life, it’s all the more welcome in book form. For those who prefer e-recipes, the site is www.smittenkitchen.com. Technically this is a cookbook, but it’s also a story, a story of loss and recovery. 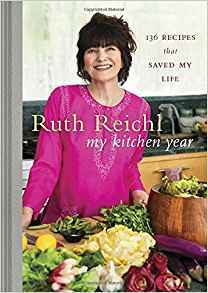 Reichl (foodie legend and editor in chief of Gourmet), chronicles the year after the magazine’s abrupt closing, focusing on her own kitchen and the dishes that marked her own evolution, from shock to grief to beyond. My mom tells me that my first word was not “mama” or “dada”, but “cookie”, which will come as no surprise to those of you who have attended my holiday parties. 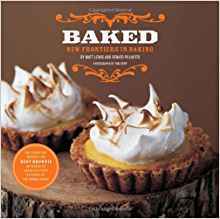 It is Very Hard Indeed to impress me with a cookie book, especially one that is not vintage or self-published by a community group.... But wow, this book is awesome, and gorgeous. The introductory “techniques” pages alone are worth the price, and then there are 500 (!) more pages chock-full of cookie joy. 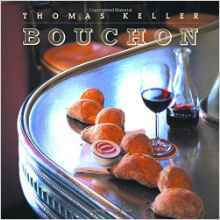 Traditional and avant-garde, sweet and savory, including all of the recipes from Greenspan’s legendary Beurre & Sel bakery. 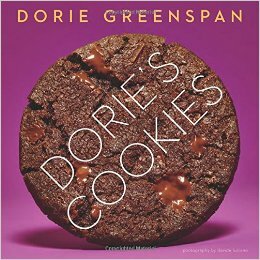 This is my new go-to cookie book, which is saying a lot. 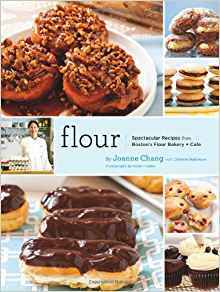 All throughout, the tone of writing is terrifically friendly and precise – similar to Joanne Chang of Flour, who will happily tell you the lovely personal story of how a recipe came about and then remind you that when she says “beat for 5 minutes” she does not mean 4 minutes, or 6 minutes, but FIVE MINUTES. Got it? There is a snarky, cynical school of thought that is dismissive of food blogs that are written by people who are not professional chefs. Well, it’s great to browse through the beautiful Eleven Madison Park or Atelier Crenn volumes, but when I actually want to eat something with less than three days’ notice, I LOVE the more down to earth “normal person” resources. I love the blogs, I love the books, I love the family stories, I love the cute home-y accessories, I love the easy recipes. Plus, every once in a while you get a little gem like, “It’s on these shopping trips that I realize how much psychic energy I expend saying ‘no’ to things all year long.” Some of you will have heard of Jenny’s blog, Dinner: A Love Story (also the title of her earlier book). I am a new and enthusiastic fan, and really, aren’t you looking for more to celebrate too? Save the snark for something more worthy of it. Going into winter, as the days get shorter, and darker, we could all use some new winter habits and rituals. 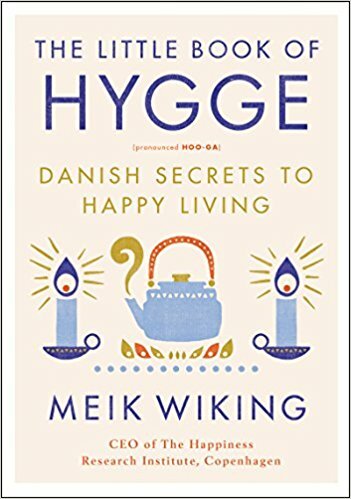 Naturally this leads to the hygge bandwagon (and no, I do not care if the whole concept is a branded British over-amplification of traditional Danish culture). I welcome the idea that we can embrace winter instead of fighting it, or fleeing it, and there are a lot of hygge traditions that align with contemplative practices and restoring rituals found across wide spans of time and geography. Besides, who doesn’t like a winter full of cozy socks, warm beverages, and good books? Speaking of books, there are many hygge volumes recently out, and more on the way: this lovely, compact publication is my favorite, full of great ideas for taming the wrath of winter, and even inspiring visions of snowy stay-cations instead of tropical flights. Note on media: it is worth ordering this book in conventional, paper form, since much of its appeal is visual. It’s Julia’s 100th birthday this month, and what better reason to celebrate? Among the many things I admire about her: she did not start cooking in earnest until her late 30’s, and The French Chef was not published until she was 49. She often remarked on how she had not discovered her calling until midlife – not mentioning that it might have been because she was busy in earlier years being a SPY! I’ve often referenced her cookbooks, the new biography Dearie is getting rave reviews, and of course her autobiography My Life in France is great too. 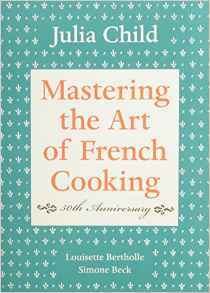 But they pale in comparison to the real live woman, captured on the PBS series, The French Chef. When she blackens the browned butter, she calls it a good example of what not to do. When she makes a buche de noel and the icing blobs all over, she cautions, “don’t be too neat or it won’t look real… it should be woodsy”. She uses the word “hypotenuse”. She licks the spoon. 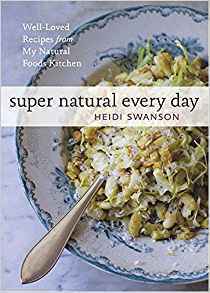 Let’s face it, some whole food cookbooks (and cooks) just aren’t very friendly: they can be complicated, and preachy, and full of bizzaro uses for cashews. Chaplin’s guide is the antidote, starting with pantry-stocking and walking straight through to dessert. If you are looking for a kind guide to healthier eating, look no further. If you spend most of your time in the Whole Food Kitchen (or even if you don’t), a visit to Tartine is a real treat, and this collection includes the full range of offerings, beyond bread and pastries. I’ve been without a full kitchen setup for much of the year, and have taken to reading this book like a thrilling novel, dreaming of the time when my baking sheets are returned.